Are you a Freelancer or Contractor? Sole Trader vs Limited Company? Flexible Online Quickbooks Accounting Software! QuickBooks is flexible in that you can choose and pay for the features you need. It has various plans and can be easily tailored to meet your specific business needs. At Birchtree Sullivan Accountants we can advise weather the software is suited for your specific business. As a modern freelancer, contractor, or small business, you’re probably already using apps to make your business easier to run. 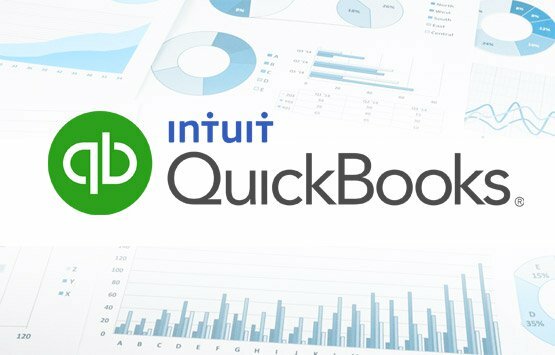 QuickBooks is excellent for data integration with apps such as PayPal, Shopify, Unleashed, Amazon, BigCommerce to name a few, all are able to work alongside QuickBooks, allowing you to easily transfer important data. Our QuickBooks Accountants in London are expert to handle all types of QuickBooks functions. Send invoices, reconcile accounts, run payroll & more on your phone. Data is backed up & synced on any connected device..
Free updates & new features as they become available. Work securely in real time with your team or accountant. QuickBooks Online automatically downloads & categorizes bank & credit card transactions. Free QuickBooks app – compatible with iOS & Android devices. Customise a comprehensive list of expense categories to build accurate accounts. QuickBooks helps you to reduce the burden of tax compliance. That great news, we don’t need to tell you how great QuickBooks is. If you choose us as your accountant, we will transfer you over to our dashboard and you no longer need to pay to QuickBooks as all our software comes as part of your Accountancy package. So this means, no change to your accounts on QuickBooks, no loss of data and simple quick transfer. We will take over all your queries from day one and help you sort out any issues you may have. QuickBooks comes part of all our Accountancy packages. Get in touch for a free consultation today. Birchtree Sullivan has been providing accounting, advisory and tax services to business owners across Greater London. Our London based offices boast one of the region’s growing specialist teams advising business owners in a number of sectors. We also provide Accounting, Bookkeeping, Payroll, Tax and Company formation services in Central London, East London, North London, South London, Bromley, Croydon, Kingston, West London, Harrow, Hounslow, Wembley, and many other major areas of London, UK. © Copyright 2018 Birchtree Sullivan - Chartered Certified Accountants. All rights reserved.